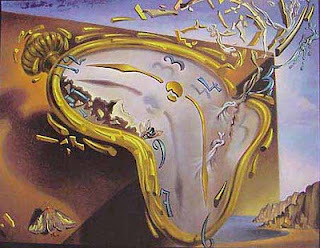 Salvador Dali knew about time slipping away. It's mid morning and I haven't had my coffee yet. It's mid month and I still haven't caught up with the Priority-2 chores after the holidays. Where is the time going? Priority-1 chores are things like making meals and meeting work deadlines. Priority-2 chores include the dishes and all those things that are important to your job but not urgent. They are the kind of things that will get you into big do-do if you ditch completely. Priority-3 chores are the things you should do. You might even want to do them more than Priority-1 and 2 jobs, but they aren't as essential. Blogging is a Priority-3 task. No one is going to starve and I won't get fired if I don't blog. And yet, here I am blogging before making myself breakfast or meeting my deadline or... and this is truly shocking... BEFORE COFFEE. Why not put the coffee on first, you ask? Simple. The coffee maker is in the kitchen. The dirty dishes are in the kitchen along with counters that need scrubbing (my son doesn't believe in wiping up spills when it's easy to do so) and a 1001 other mundane tasks ranging from Priority-2 to "only needs doing when guests are coming". I'll get caught up in the mundane (aka housekeeping) chores and then the Priority-1 jobs will demand my attention again. Another day will go by and I won't have written this blog. I like writing this blog. I guess the blog just got bumped to Priority-1.5. Not as important as meeting deadlines, but important enough to me. Now I'll go make coffee. Hi Alison, You brought a smile to my face with these "so true" comments! Thanks! I have actually managed to start 2012 with an enjoyable new project. 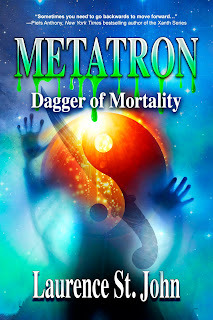 Please visit my blog and let me know if I can interest you in a guest spot! I`ll be happy to be your guest. I`ll drop by soon. But first I have a Priority-1 task. I have to pick up my son from band practice. Instead we go through withdrawal without coffee.